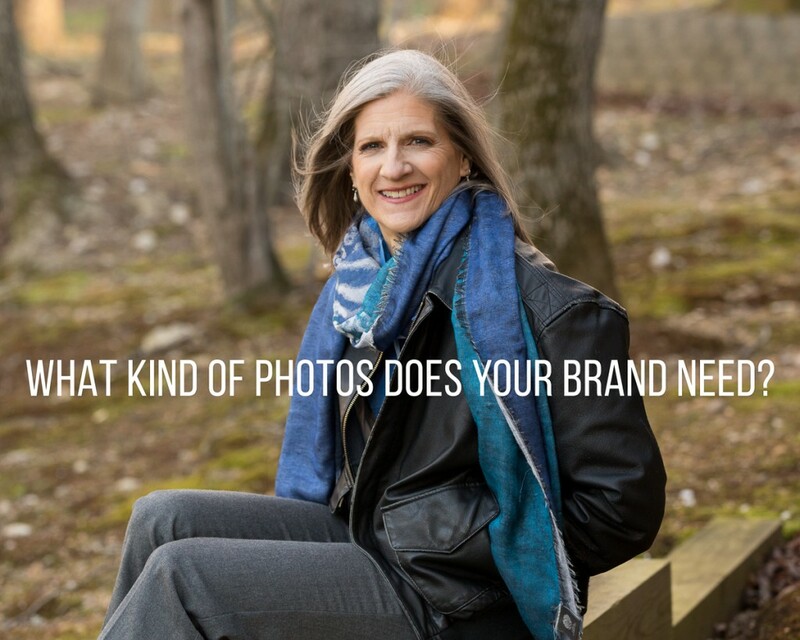 What Kind of Photos Does Your Brand Need? The list below is a good starting point for anyone wanting to build a catalog of brand imagery for their website or social media. In addition to having a clear shot list, planning out the look and feel of the images ahead of time will give you much better results in the end. It is best to work with a graphic designer or web designer who understands your brand and who can collaborate with your photographer during the photo shoot planning process. For tips on things to consider when planning a branding photo shoot, check out this blog post: How to Tell Your Brand Story Through Photographs. A great photo for your header or home page. A really strong photo for your header, sometimes referred to as a hero image, should grab the attention of your visitors and express the personality of your brand. 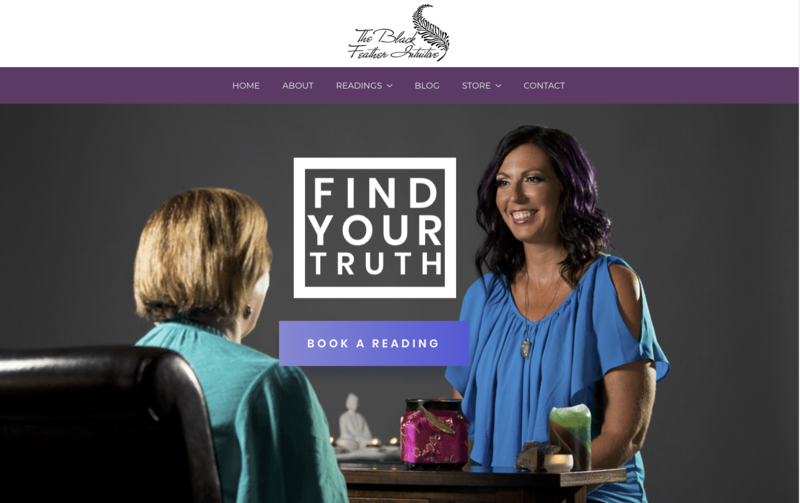 In the image above, Stacey Brown, of the Black Feather Intuitive, is doing a reading for a client and you automatically get a sense of her open and friendly disposition. The image has dramatic lighting and works with the color palette of the website. The headshot for your about page should express your personality and it should be shot either as a 3/4 (like the photo on the left) or a standard headshot crop (like the 2 on the right). This is so that viewers can see your face clearly and see your personality. The background should also coordinate with or complement the color palette of your website. Sometimes it is best to have all of your photos shot in one setting or location so that they look cohesive. The images on top of Stacey Brown show her in meditation and show her with a tattoo of the Eye of Ra. The lighting is moody and lends itself well to the mystical subject matter. These portraits convey the mood of her brand in a creative way. The images on the bottom of Janis Pettit of the 10X Zone, showcase her caring personality and open-heartedness. The image on the right demonstrates how she leads her clients forward in their business and invites them to step into their unique greatness. Your clients want to see what it is like to work with you! For Brooke Burns Swindle, the Caring Coach, that meant going to the North Carolina Museum of Art and sitting on a park bench. Brooke encourages clients to embrace their sense of play and to do the things that bring them joy. I photographed Alison of CU Fitness, Inc. in her private gym where she trains clients. She has a great space close to downtown Raleigh where she does personal training and group classes, so it was important to show her in action in her space. Stacey Brown has a number of tools that she uses during her readings. Having colorful and vibrant photos of them adds visual interest to her website and helps to educate clients about her process.